Today the Walt Disney Archives announced it will celebrate the 60th anniversary of Disneyland at D23 EXPO 2015 with an exhibit of more than 300 pieces from the park’s incredible history. With its wide variety of classic and contemporary objects, “Walt Disney Archives Presents—Disneyland: The Exhibit” will be the largest display the Disney Archives has ever showcased at D23 EXPO. The 12,000-square-foot exhibit, which will be located on the Expo show floor for the first time, will include themed areas that honor the park’s history, attractions, parades, and entertainment over the past six decades, including the construction of Disneyland, Pirates of the Caribbean, Mickey Mouse Club at Disneyland, Club 33, and collectible merchandise, as well as the park’s iconic lands: Main Street, U.S.A., Fantasyland, Frontierland, New Orleans Square, Tomorrowland, and Critter Country/Bear Country. Each area will contain items from Disneyland’s past, including attraction vehicles, costumes, props, and even Audio-Animatronics® figures. Among the more-than-300 items on exhibit, guests will be able to see Ticket No. 1, purchased by Roy O. Disney on July 18, 1955, the first day the park was open to the general public. Guests will see many pieces shown by the Archives for the first time, including early surveying equipment from the 1950s used in the construction of Disneyland, a prototype vehicle for the beloved Alice in Wonderland attraction, dancing­-monkey costumes used in the nighttime spectacular Fantasmic!, an early Autopia car, original artwork from Mickey Mouse Club Circus, the Abominable Snowman from the Matterhorn Bobsleds, which was replaced during the attraction’s recent enhancement, and an original pitch book full of colorful artwork that was used to sell Disneyland to prospective sponsors on the East Coast. 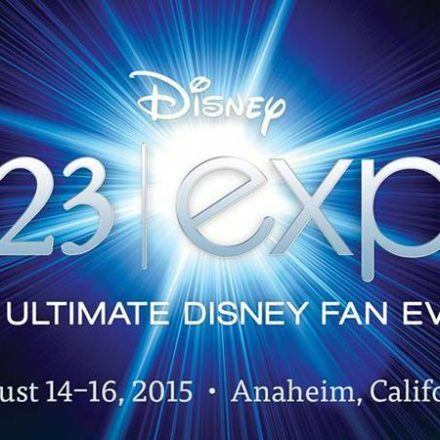 D23 EXPO 2015 will take place August 14–16 at the Anaheim Convention Center. 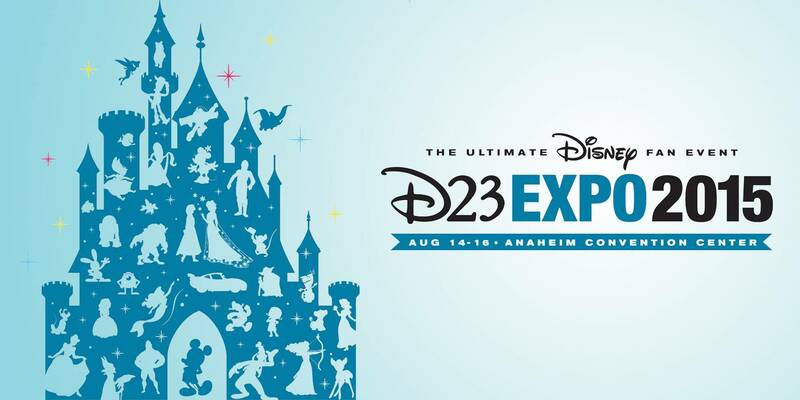 To learn more about the event and for more information about tickets and ticket pricing structure, visit D23EXPO.com. 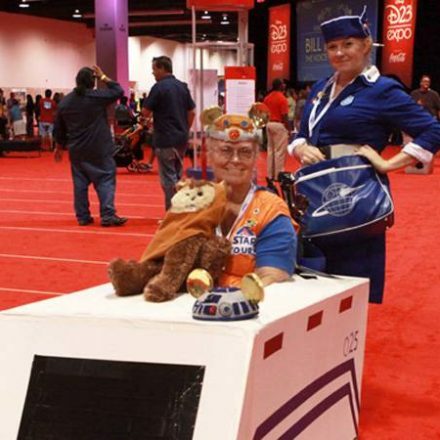 Here is a look at Disney, Marvel & Star Wars fans dressed up as their favorite characters at the 2013 D23 Expo!